With the addition of the Ellerton, Parker and Lichfield, Second Nature expand their extensive range of door styles with some truly innovative designs. Check them out on their website: www.sncollection.co.uk or contact us for a brochure. The Lichfied is a stunning real wood veneer, J-profile door with a solid Ash edging. Available in 27 paint colours or a light, washed stain, or a striking dark, espresso stain. 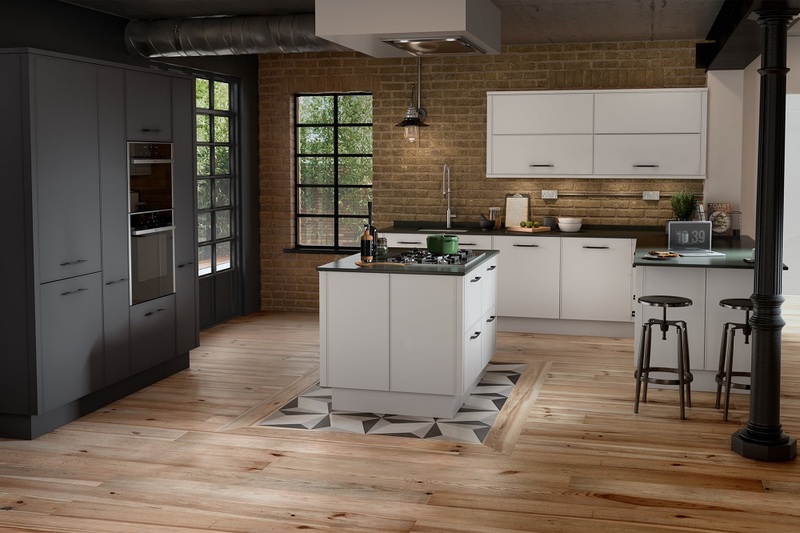 The distinctive raised-edge Parker door, featured in the image above can be fitted with handles, or used in conjunction with a true handleless rail system. The Ellerton shaker, also available in 27 colours, is specifically designed as a true handleless door, with a reverse chamfer on the top edge for improved ergonomics. It is part of Second Nature’s Alchemy range – a blend of modern and traditional styles.